Freelance by Choice or by Force? 5 weeks ago, I had a full-time job. But like millions of other Americans, I fell victim to “the economy” and was forced into a life as a freelancer that I wasn’t prepared for. That may be the bad thing about being a Graphic Designer with a full time gig. There is a tendency to get complacent (raises hand). I was in the very fortunate situation to have a 9-5, well-paying (by print designer standards) full-time job, close to home as the only designer on staff in a small & very casual atmosphere. There was not a need for a website or a blog or a twitter account. Oh how times change. You get married, you buy a house, you have kids (read dogs), and then a real kid (the kind who cry and make stinky diapers) and all of the sudden, you’re on your own wondering how to pay for it all. Don’t get me wrong, this certainly isn’t a sob story, but an acknowledgement of something I may have lost a bit along the way…my creative drive. There are those designers out there who are full-time freelancers by choice and bust it every day to gain clients and do great work. There are others who are forced into it and are left struggling to figure out how to gain those clients to do great work. I’m making headway…a new website here, a few wedding invitations there, a new blog over yonder. But I always find that I get the best out of myself when I’m under pressure. I worked that way in school, you know, procrastinating until I HAD to finally come up with a design for that poster project. It always worked out, but the stakes were a grade, and it was just me. Now there’s more to consider and worry about, and the short time I’ve been on my own has made me remember that I have what it takes. So for those designers out there who are freelancing by choice, or those of you who are in a situation similar to me, or even those of you who are considering a switch into the freelance world, I’m interested in hearing your story and learning from your experiences. God knows I’ll be learning things in the next few months and weeks that I didn’t know a month ago, and hopefully I can pass that along to others who choose to stop by and say hi. 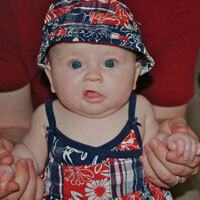 This entry was posted in Chalfont, PA, Freelance, Graphic Design, Uncategorized. Bookmark the permalink. 2 Responses to Freelance by Choice or by Force? Hello. Found your site via LinkedIn. After 14 years with the same company, last August found myself in the same boat. Many friends tell me, “you are so talented, just freelance!” I am finding it a challenge to step into cold, while job searching and worrying. 😉 Mostly, I find my friends wanting free work. And most referrals really don’t want to pay anything either. So I have been doing lots of free to almost free work, while learning new skills, such a WordPress, designing books for friends, branding, signage, business cards … all hoping 1. it keeps me busy 2. I keep moving forward even if I am not earning money 3. hone my skills. I have been in the business so long (newspaper graphics, etc). I do get paying gigs, and that is when I wonder … is it time to move and and do something fresh. Was this interruption a sign that I should explore others avenues? Just saying hello! Like you work, your site, your blog. So since last July, how has your freelance business been? 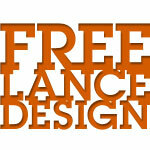 Freelancing can be tough when you are used to having a “regular” job, but it is so rewarding in the long term. Good luck with your business!